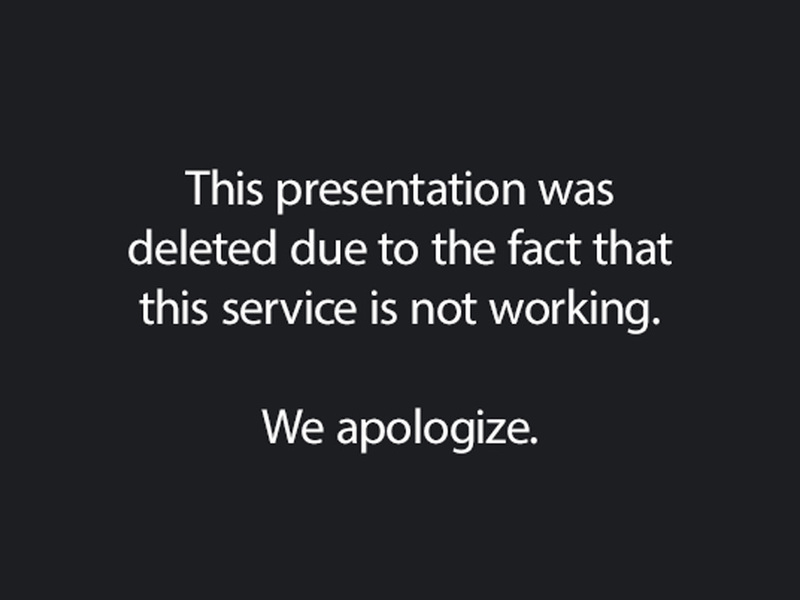 Retrospective Keynote Template is made in a retro style. Presentation slides look like bright retro posters or albums whose attract attention and share the interesting information. 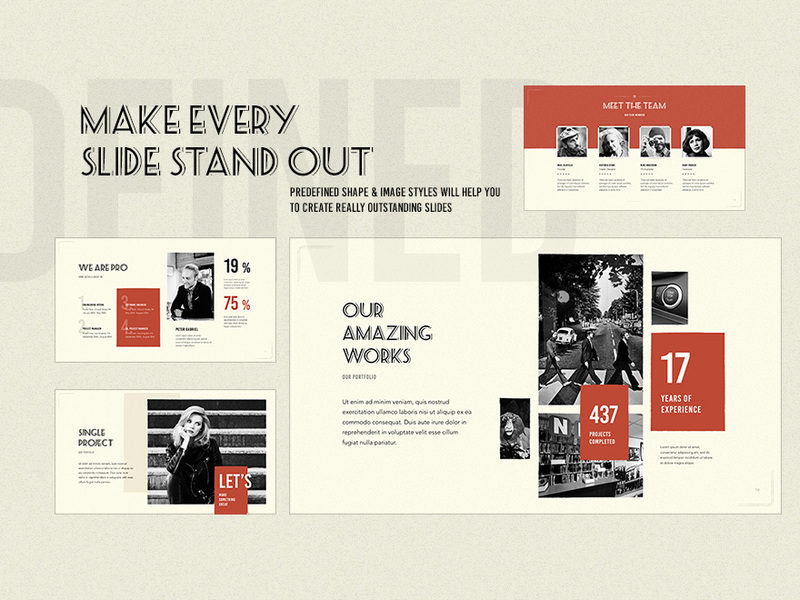 50 creative slides help you to create any presentation for portfolio, company or any personal need. 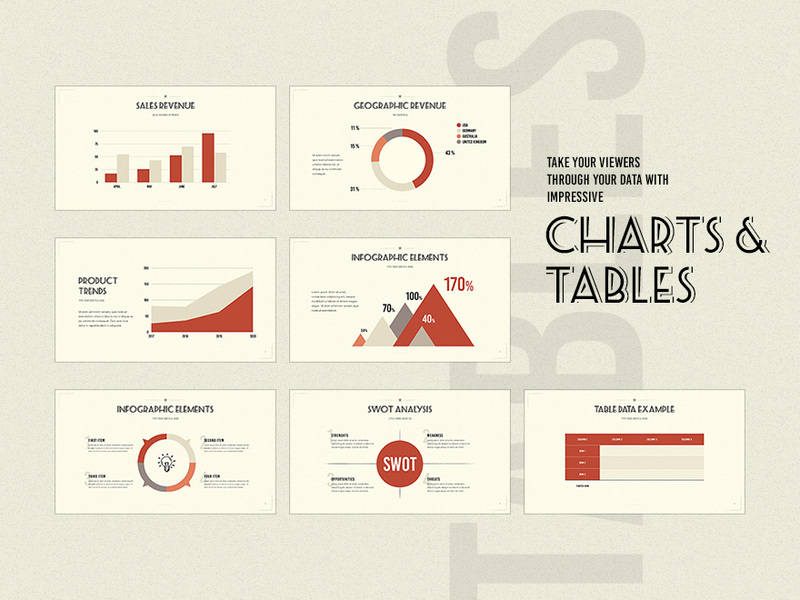 Styled tables and charts allow you to create a marketing or business presentation. Set of hand-drawn icons makes your presentation unique and especially interesting. 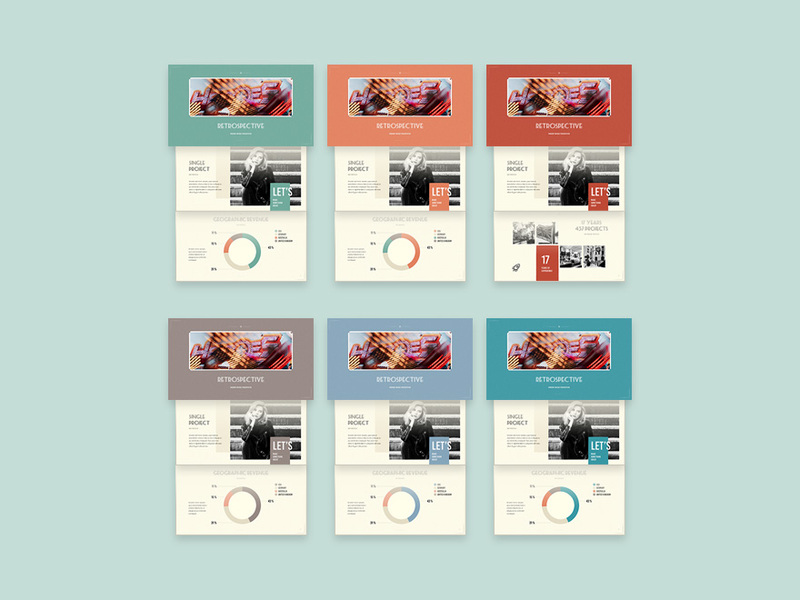 There are 6 color schemes available in this template. 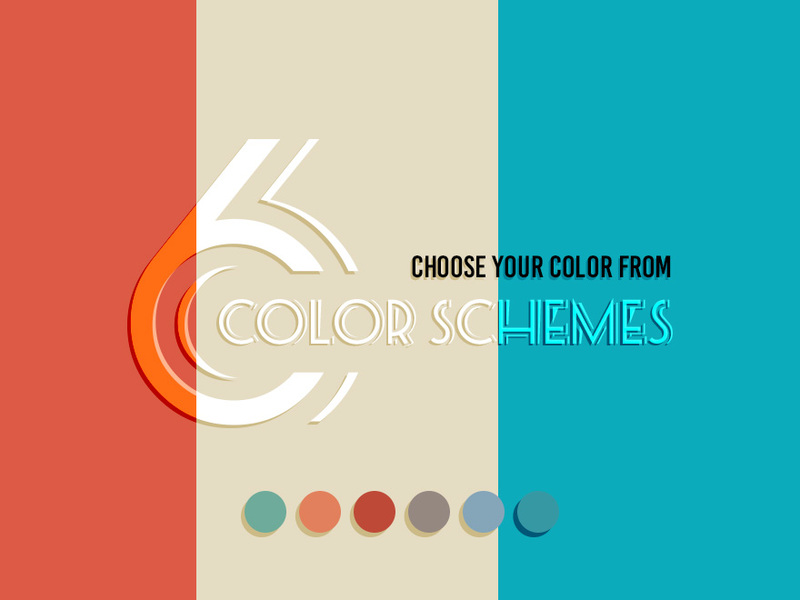 This allows you to quickly select the desired color for your needs. 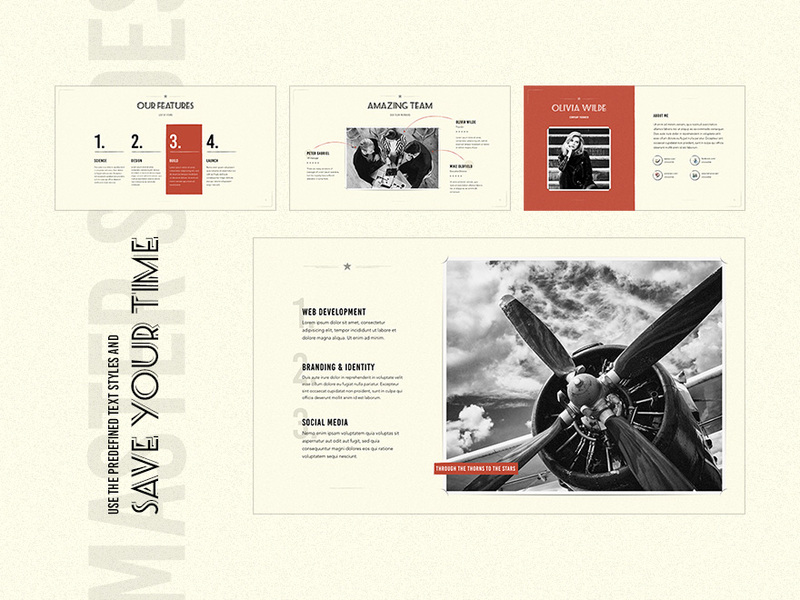 Retrospective Keynote Template is made in a retro style. 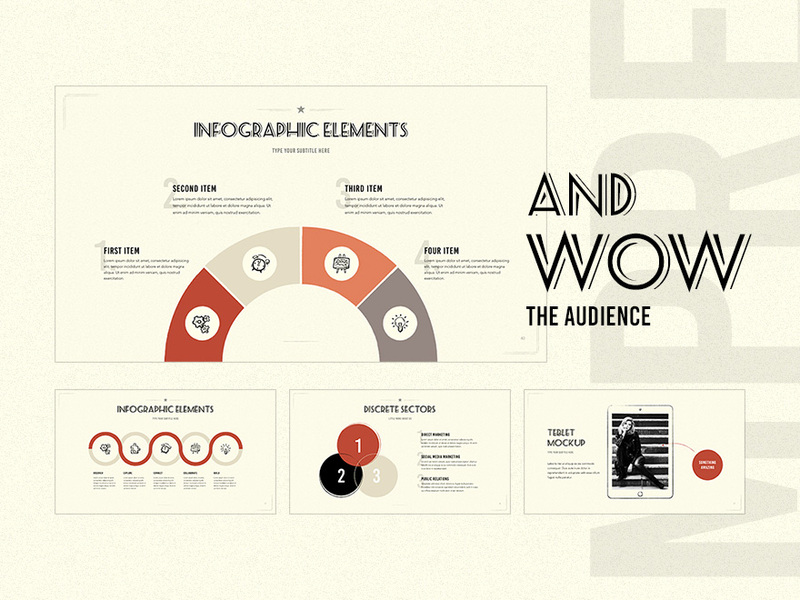 Presentation slides look like bright retro posters or albums whose attract attention and share the interesting information. The ReworkMedia is a design studio in Novaland, New Gate.